Mother's response to KFC's chicken shortage, "KFC FCK", has won the Grand Prix for Campaign of the Year at the Marketing New Thinking Awards 2018. The expletive-tinged campaign – which won a Cannes gold Lion in Print & Publishing – scooped the top prize after winning in three other categories: Creative Excellence: The Big Idea; Brilliance on a Budget; and PR New Thinking Excellence. Mother picked up one more award, in Effective Long-term Brand Building, for Ikea’s "The wonderful everyday". The awards, held this evening (26 September) at London’s One Marylebone and featuring a keynote speech by Football Association chief executive Martin Glenn, celebrated the brands and agencies thriving by "doing different". VCCP won the night’s other Grand Prix for Agency of the Year, on the back of four other wins across a trio of brands. "The undeniable wonder of family life" for Amnesty International won in Marketing for Good and Live Brand Experience; "Dom Juan" for Domino’s won in The Chatbot; and "Seriously, you have to try it" for Cadbury was victorious in Branding Through Influence. VCCP was the most shortlisted agency in the awards, which are now in their fourth year. The judging was chaired by Unilever’s Aline Santos. Other winners include Lucky Generals and Amazon in International Branded Content/Campaign for "Alexa loses her voice". The activity was shortlisted in the Outstanding Commercial category at last week’s Emmy Awards. There were two awards apiece for Manning Gottlieb OMD and CBeebies. A Million Ads, Adam & Eve/DDB, George P Johnson, Grand Visual/Goodstuff Communications/Talon, Guardian News & Media, Initiative/Mubaloo, Latimer, MediaCom, Mindshare, Red Brick Road, Smart Energy GB/Abbott Mead Vickers BBDO and Unilad each picked up one gong each. 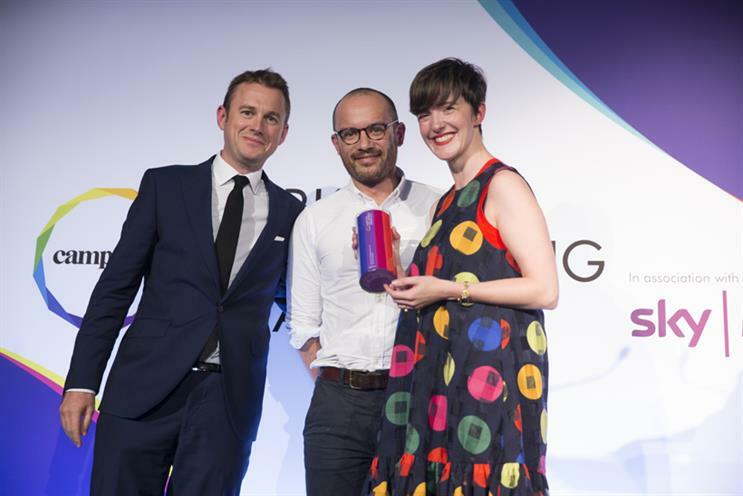 Claire Beale, global editor-in-chief at Campaign, said: "This year's winners cover an amazing array of sectors and marketing channels, but are united both by a truly innovative mindset and outstanding creativity. These are the brands and agencies demonstrating what needs to be done to cut through the clutter and create real engagement."